EFI Automotive is a locally owned business providing electrical and automotive repairs and servicing to the Hobart community since 1979. We are a team of dedicated professionals, willing to help you with any size problem. Our customers trust us to deliver quality workmanship, good advice and provide an honest service. Some of our valued customers have been with us for over 30 years! We are accredited repairers for the TACC and the RACT. We are also Tasmania’s accredited installer of the Dräger Interlock XT – Alcohol Ignition Interlock System and proud affiliates of Redarc, Polaris and Mongoose automotive technologies. 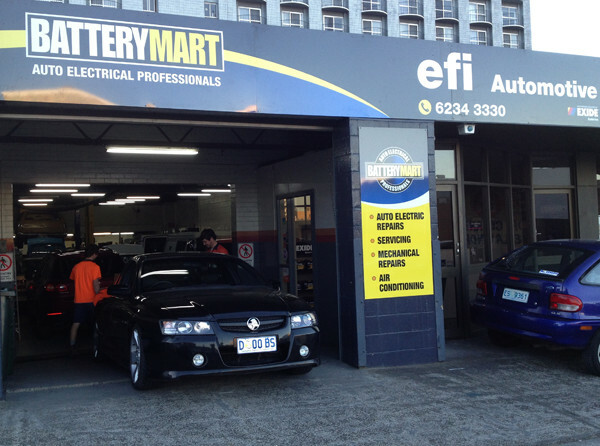 We pride ourselves on being one of Hobart ’s best in auto electrical, air conditioning and mechanical repairers. To get in touch, give us a call on 6234 3330.